Winter is coming to an end, with refineries preparing for annual maintenance and the switch-over to summer grade blends. When that happens, fuel prices always rise. The AAA Fuel Gauge Survey shows the national average price of regular gasoline is $2.42 a gallon, up four cents in the last seven days. That’s 16 cents higher than a month ago but 12 cents lower than at this point in 2018. The average price of premium gas is $2.97 a gallon, up three cents in the last week. The average price of diesel fuel is $2.98, two cents higher than last Friday. The average price of fuel barely budged in Hawaii and California, the two states with the most expensive gasoline. At the same time, states in the Southeast that routinely enjoy low prices at the pump are continuing to see the price rise. Alabama, one of two states with the lowest gas prices last week, experienced a 12 cents a gallon increase in the last week. Florida became one of the 10 most expensive states to buy gas in this week thanks to a 14 cents a gallon increase. The gasoline market is being pressured by output reductions at refineries, as well as rising oil prices. Crude oil spiked this week after the Energy Information Administration (EIA) reported a big one-week drop in U.S. supplies, mainly because U.S. producers have increased exports. Despite rising oil prices, AAA’s Jeanette Casselano says crude is still cheaper than it was in the first two months of last year. 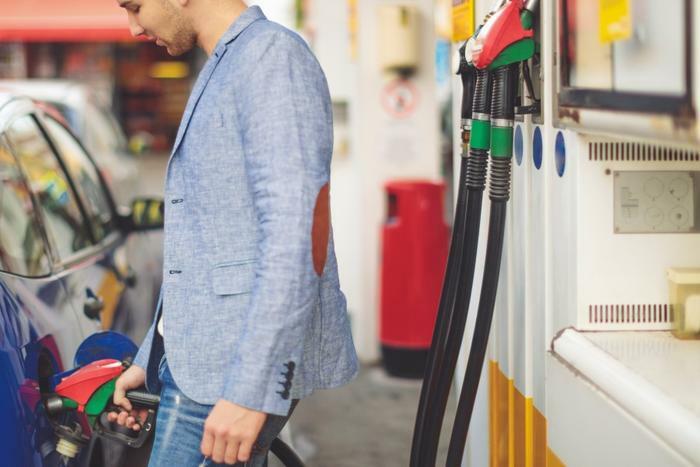 “Even though pump prices are on the rise, the increase has been countered by mostly decreasing demand, leading to the majority of people still paying less than $2.50 a gallon,” she said.